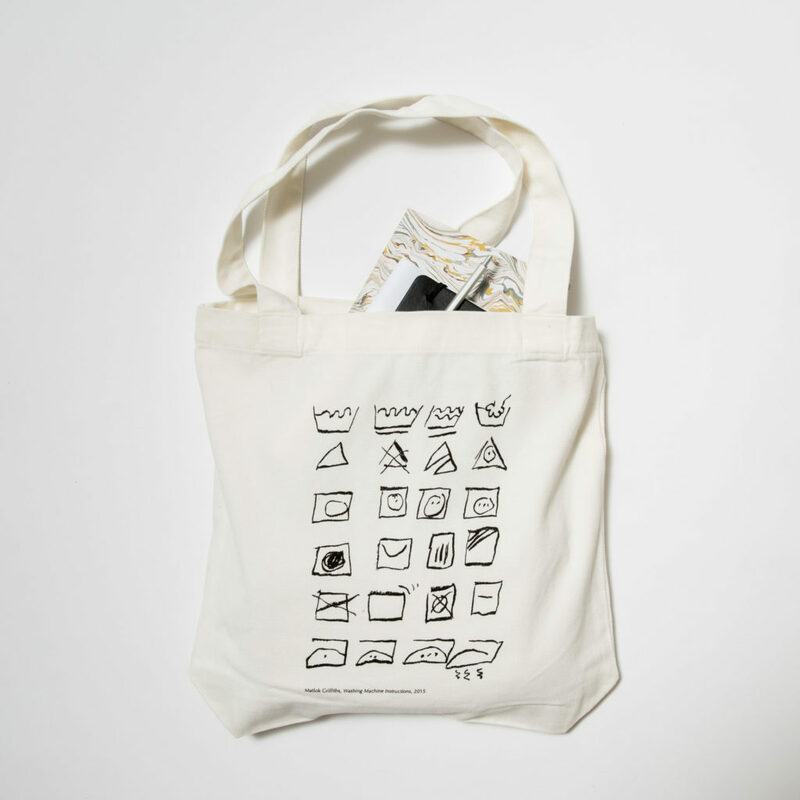 A classic and strong cotton tote bag designed by Chapter House Lane in collaboration with artist Matlok Griffiths. This bag has been printed locally in an edition of 100. It features a screen print of Griffiths’ artwork Washing machine instructions and Chapter House Lane’s much-loved logo on the reverse side. Seven Year Itch is a 50 page print publication that has been produced in response to an open invite to Chapter House Lane’s 136 previous exhibitors, each artwork responds to the artists own ‘seven year itch’. Contributors include: Tarik Ahlip, Matt Arbuckle, Ted Barraclough, Stephen Benwell, Sandra Black, Robert Brain, Kirsty Budge, Aaron Carter, Olga Cironis, Alan Constable, Lane Cormicj, Archer Davies, Lynda Draper, Jackson Eaton, Naomi Eller, Bern Emmerichs, Eva Fernández, Emily Ferretti, Matlok Griffiths, Kez Hughes, Emily Hunt, Maddison Kitching, Robyne Latham, Tina Lee, Julian Martin, Alasdair McLuckie, Dan Moynihan, Pia Murphy, Grant Nimmo, Nabilah Nordin, Charles O’Loughlin, Alexander Ouchtomsky, Toby Pola, Oscar Perry, Sarah Poulgrain, Kate Robertson, Jonas Ropponen, Ben Sexton, Tai Snaith, Petrus Spronk, Vipoo Srivilasa, Georgia Szmerling, Jelena Telecki, Kate Tucker, Ronnie van Hout, Prue Venables, Peter Waples-Crowe and Gerry Wedd. 'Seven Year Itch' has been designed by Jessica Pitcher, printed by PMI & published by Chapter House Lane (2018) as a limited-edition of 200. For international shipping, please contact us.